School librarian at Fork Shoals School in Pelzer (Greenville County), South Carolina. The Fall Book Fair is almost here! 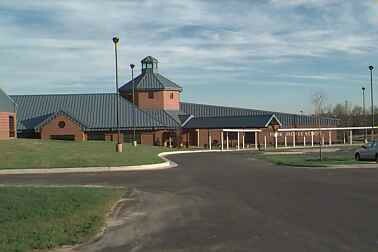 The Fork Shoals Library will have three book fairs again this year, and our first fair will be October 8-12 (with a special parent/teacher preview day this Friday, October 5th). The whole school is excited about our upcoming Book Fair. An amazing selection of books is headed our way! At the Book Fair you will find the latest and finest titles for kids, as well as books of interest to parents. Mark your calendar for our Family Event (Monday, October 8th, 5-7pm) where the whole family can join in the fun. And, you can contribute books to your child's classroom library. The Book Fair is a great way to get everyone excited about reading. See you at the Book Fair! If you're out of town or can't make it to our Book Fair, you can also help support our school by shopping online. The online fair dates are September 30-October 20. The online fair has an expanded book selection, and all orders ship free to the school! 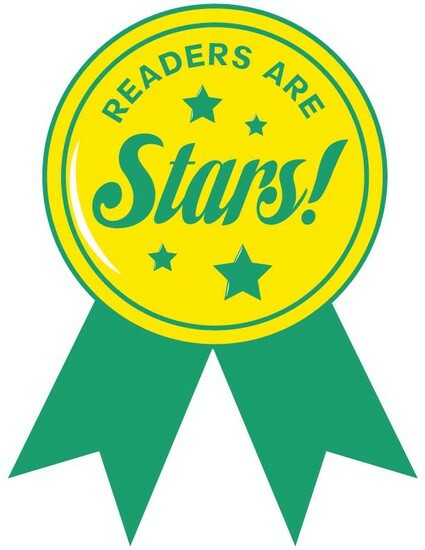 For more information on our upcoming bookfair, visit http://bookfairs.scholastic.com/homepage/forkshoalselemsch. Proceeds from the Fall Book Fair will be used to purchase library books and materials and provide for an author visit in February. Star Wars Reads Day is this Saturday, October 6th!!! 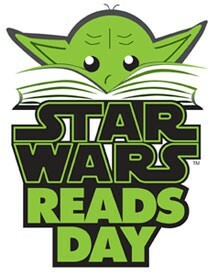 On October 6th, 2012, fans will come together to celebrate reading and Star Wars. Join in the fun by finding an event near you. All events will have giveaways and a raffle. Select events will have authors and/or costumed characters on hand from the 501st Legion, the Rebel Legion, the Mandalorian Mercs and the R2 Builders Club. There are four Star Wars Reads Day events in the Upstate. Visit any of these to master the art of reading! Wear your coolest Star Wars gear! You may also want to check out this really cool activity kit: http://www.starwars.com/media/general/FullContent_SWReads_FINAL.pdf. It has recipes, crafts (including origami), coloring pages, trivia, and games. I'll probably try a few of these myself! Dwight is not a normal kid by any stretch of the imagination. He’s probably the weirdest kid in the sixth grade, and he’s about to take his weirdness to a whole new level. Dwight has created his own origami Yoda. Yes, Yoda. The little green Jedi master from Star Wars. Origami Yoda even gives advice to the people around him, including Tommy, a sort-of friend of Dwight’s who needs an answer to a really important question. Everyone knows it’s just Dwight speaking in a really bad Yoda voice, but why, then, does Origami Yoda seem to know things that no one, not even Dwight, could possibly know? 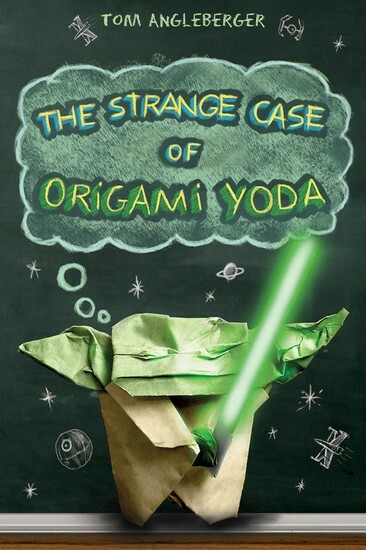 Is the Force flowing through Origami Yoda and helping the students at McQuarrie Middle School? Tommy and his friends want to know the truth about Origami Yoda. How can he possibly have all the answers? And why does Dwight, on whose finger Yoda rests, not follow Origami Yoda’s advice? Will Tommy be able to find out what’s up with Dwight and Origami Yoda before asking the most important question of his entire life? A question about–gasp!–a girl? Join Tommy, Dwight, Origami Yoda, and a whole cast of characters as they navigate the confusing world of middle school and try to find the answers to the really tough questions in life. Can Origami Yoda help? Read this book you must if to find out you want! If you’d like more information on the Origami Yoda books, including the next two books, Darth Paper Strikes Back and The Secret of the Fortune Wookiee, visit http://origamiyoda.wordpress.com/. May the Force be with you! October 8-12 - Book Fair open to all! October 23 - Box Tops due! Open House is on Monday, October 8th, beginning at 5:00 PM. This is a great opportunity to see work that your child has been doing so far this year. You can also sign up for your fall parent/teacher conference. For 3rd-5th grade challenge students, the Challenge teacher, Mrs. Kelowitz will be available for information about challenge. The Book Fair will be open, and more information will be available about our upcoming Fall Frenzy! Please join us! Our Fall Frenzy is November 3rd from 10:00-3:00. This is our BIGGEST fundraiser of the year. PTA is still in need of sponsors for the $50 or $100 level as well as products/services for the silent auction. Contact them at forkshoalspta@gmail.com if you can help. They are also asking for $5 donations that will help cover the costs for the cake walk and soda toss. Follow Fork Shoals on Twitter! Did you know that Fork Shoals now has a Twitter page? Well, we do! Follow us at https://twitter.com/ForkShoalsES for the latest and greatest Fork Shoals news!